The ongoing protests against the sitting president Abdelaziz Bouteflika that remained at the helm of Algerian politics for two decades and was going to run for the office for the fifth time have led to an abrupt deterioration in the political situation in this country. As a matter of fact, the Bouteflika government has been trying to address widespread public unrest since late February but to no avail. Analysts believe that the protest movement that is led by Algeria’s youth, as well over 70% of this country’s population hasn’t reached the age of 30 years, may plunge this North African republic into civil war. It’s been pointed out that the overall youth of the popular uprising explains the absence of any leading figures within the protest movement. In fact, this whole movement appeared spontaneously in response to the total neglect of the public opinion manifested by the government on numerous occasions in the absence of any real opposition force in the country. As it’s been reported by APS , in the course of just a couple days of protests in early March, during which widespread acts of vandalism and attacks on law enforcement officers were common, some 200 people received injuries while another couple dozens were detained. It turned out that the better part of those detained were under the influence of psychotropic substances and were running the risk of turning violent. Several thousand members of the Algerian diaspora in France and other European countries have made the decision to support the demonstrations against Bouteflika and his policies. However, even though observers on the ground fail to pinpoint a single center of the protest movement, it would be too much of a stretch to claim a series of riots that has swept through Algeria was solely caused by the internal hardships of this country. There is a list of similarities in the way public unrest was promoted in Algeria that links it to a wave of Arab Spring revolutions that swept the region back in 2011. Those revolutions that plunged Tunisia, Egypt, Libya into a state of perpetual political chaos were orchestrated by the West through the use of a number of cunning social network tactics. Back then Algeria escaped unscathed largely due to the fact that the capable Bouteflika government initiated a series of social reforms in the country which resulted in the flames devouring the Arab world bypassing Algeria. However, over the years, the internal situation in the country has worsened considerably, while the actions taken by the Western opponents of Algiers and its policies have become more refined and consistent. 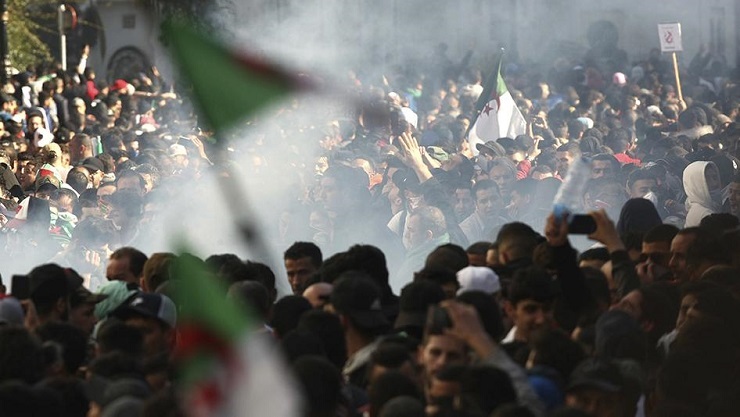 In recent days, Washington and a couple of its satellite states have manifested the desire to use the protests in Algeria to subject this country to its will and make it walk the line. The White House has been particularly frustrated with the Bouteflika government recently due to the rapprochement between Algiers and a number of leading EU players in the field of energy security, as Algeria has become a major supplier of natural gas to the European marker, where Washington is busy enough twisting Russia’s hand in a bid to force Brussels into buying its expensive LNG alternative. So, should Algeria be plunged into a state of disarray or should its government be taken down for the West to get its hands on the vast energy resources of this North African state, Western oligarchies win either way. However, it is necessary to recognize that, despite the desire of certain Western forces to rock the “Algerian political boat” by describing Bouteflika as a ruthless dictator, it’s necessary to point out that the civil society of this country treats the sitting president and his government’s policies in two very different ways. In contrast to a small number of young radicals stirred by Western propagandists on the social media, the overwhelming majority of Algerians do not hate their president. On the contrary, a lot of them are still grateful to Bouteflika for the fact that he was able to put an end to the massive carnage that was slowly tearing Algeria apart back in 1990s. During this difficult period some 200 thousand people died in the course of hostilities between radical Islamists and the security forces of this Arab republic. For sure, some were dissatisfied with his act of national reconciliation and the consequent amnesty for those Islamists who did not commit any grave crimes in the course of the hostilities, but you can’t make an omelette without breaking eggs. There’s real no arguing about the fact that it was Bouteflika who brought peace to Algeria and initiated a number of difficult reforms that managed to pacify the torn country. Moreover, there are those who still remember the role he played in the Algerian war for independence from France. In addition, all the key posts in the country are still being occupied by the people that are loyal to Abdelaziz Bouteflika, as the whole government is comprised from the veterans of the independence war against France of 1954–62. 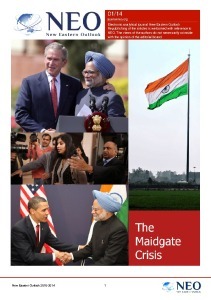 However, in a country where the absolute majority hasn’t reached the age of 30, most people haven’t had the chance to witness firsthand the political wisdom of their leader and they prepared to take desperate measures to force a change, as many of them have nothing to lose, as they think they have seen it all: high unemployment rates, years of stagnation, the total lack of any prospects in life – all this pushes students and young people to the streets, and that’s exactly where the Western sponsors of this protest want them to see. However, Algeria is not the only one on the loser’s side here. When Islamists return to this country, Europe will be swept by a new wave of migrants that will surpass everything it has seen before. Last year alone, Algeria expelled from its territory more than 25,000 West African migrants, whose main purpose was to use its territory as a transit point on the road to entering the EU illegally. The Algerian military delivered them by truck at point zero on the border of Algeria and Niger and gave them a harsh goodbye, advising them to never to return again. However, the migrant phenomenon has only been gaining momentum in the last couple of years, and losing Algeria on top of Libya that used to house migrants will not benefit the EU in any way. Against the backdrop of mass protests in Algeria, the country’s government has already resigned, and the current president agreed to refuse to participate in the upcoming presidential elections. 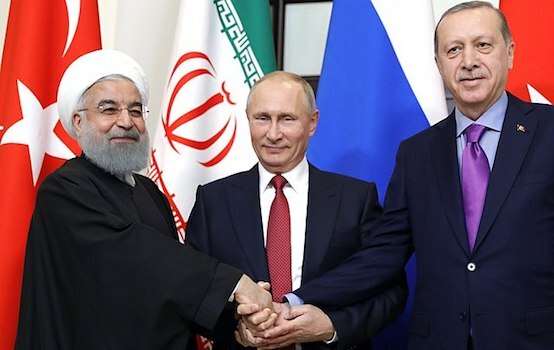 But Washington is determined to to keep Algeria fractured, which means that there will be no more cheap Algerian gas for Europe, which will be replaced by expensive American LNG. As a result, production costs will increase together with the cost of living in the EU. In this respect, there’s a natural question one has to ask: Who is interested in such a scenario? The winners here are the radical Islamists and the United States. It is Washington that needs a weak, uncompetitive Europe. Europe, which will obey its dictates. Would Europe love such a scenario? That is why sober European politicians and, above all, the French president Macron, have to prove that Paris is capable of pursuing an independent foreign policy regarding its former colonies. Today, Algeria expects Europe not to encourage the anti-government forces any further, but what it would love even more is a helping hand.